Whenever you hear of feminism what is the first name that pops into your mind? For me, it is Chimamanda Ngozi Adichie! I'm feminist, or maybe you didn't know, I stand for anything defined as equality of the genders. With so many books and literary works to her credit, Chimamanda is no doubt my icon. Today we will be seeing Chimamanda's biography, family, age, husband, children, date of birth, books and other works, salary, net worth and more. In case you missed out, you can also check out your favorite celebrities' biography here. 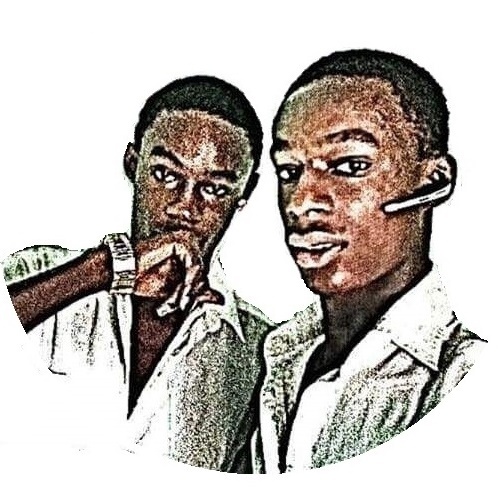 Guess whom they are, then check if you got it! Born on the 15th of September, 1977 in a big Igbo family, Adichie's parents, James Nwoye Adichie and Grace Ifeoma both worked at the University of Nigeria, Nsukka. James worked as a professor of statistics while Grace worked as a registrar. They had six children and Chimamanda was the fifth child. Right from an early age, Adichie became so much interested in reading and was doing very well academically. Her tertiary educational journey started as a Medicine and Surgery career, but she was quick enough to know that it wasn't her dreams, and left Nigeria to the States 1997, when she was just 20 years old. She got admission into the Drexel University, Philadelphia, USA to study political science and communications but later switched to the Eastern Connecticut State University in order to stay closer to her sister who was also staying there. It was in this institution that she began to feel different because of her skin color, as she stated in her book, 'Americanah'. In 2001, Adichie graduated from the Eastern Connecticut State University with an honours bachelor’s degree and in 2003, she got her Master's degree in creative writing from another American university, Johns Hopkins University. After that, she also got a Master's degree in African studies from the Yale University, 2008. In the next few years, she had been awarded several fellowships including the MacArthur Fellowship, and also fellowships from the Harvard and Princeton. Of what use would this bio be if we didn't make any mentions of Adichie's husband and child? Ngozi does very well to live a private and off-the-media life, but somehow somehow, her husband came into the space. Born on the 4th of August 1967, Ivara Esege is a trained medical personnel and is currently working at the University of Maryland Medical Center. Together with their daughter whose name and face are still off the internet, they live in the United States of America. Esere according to reports, took live off his work place to take care of their daughter when she was born. Adichie is more of a traveler, and frequents Nigeria on a regular. She has always referred to her Ivara as a perfect husband and father and he is a decade older than her, but does age really matter? They are living very happily! Adichie is one of the most successful writers Nigeria has ever produced. She has always enjoyed writing and I'm sure she would have been dreaming it would take her so far. This is the real 'dreams come true'! In the year 1997, Adichie released a collection of poems, 'Decision'. She was 20 years old then and it was her first work to be published. In 1998, she published a second work, a play titled, 'For Love Of Biafra'. It was after then that her short stories started gaining international recognition. In 2002, her short story, 'You In America', was shortlisted for the Caine Prize and 'That Harmattan Morning' also became a joint winner of the BBC World Service Short Story Awards. 2003, her fiction, 'The American Embassy' won the O Henry Award and her first novel, 'Purple Hibiscus' was published same year. It has sold over 150,000 copies as at 2013 and won her so many awards, including the 2005 Commonwealth Writers' Prize for Best First Book. In 2006, Adichie published her second story,'Half of a Yellow Sun' and it was also a huge success. 2009 she released another story, 'Americanah' and 2013, 'We Should All Be Feminists'. She also released 'Dear Ijeawele or A Feminist Manifesto in Fifteen Suggestions' in 2017 and they were all very successful. Thanks to Chimamanda's grand literary talent, all her publications have been making it to the top and she is at the top of the world's most influential people, including the Time Magazine's 2015 list. She is a very active and controversial feminist and has appeared on TED twice. Adichie is an inspiration to many others, especially younger writers. She is also the only Nigerian to have collaborated with Beyonce in a music, and they two worked on the song, 'Flawless' even though Adichie didn't make an appearance in the video. Adichie is one of the most successful writers in Nigeria. Her works have all been doing fine and she is estimated to be worth $5 million (AustineMedia.com). 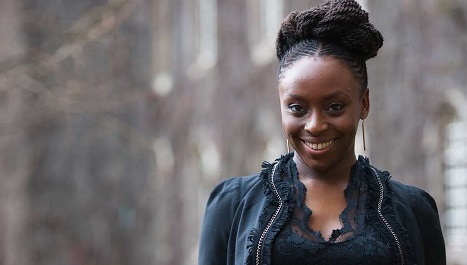 Though a top celebrity, Adichie prefers keeping her life off the social media. She however has an Instagram page which is handled by her nieces, a Facebook page and an official website. Chimamanda is a very interesting person to be with, and I want to meet her someday. Who wouldn't love such a queen? What do you think? Kindly drop your comments and share to your friends!